Welcome to Term 4. 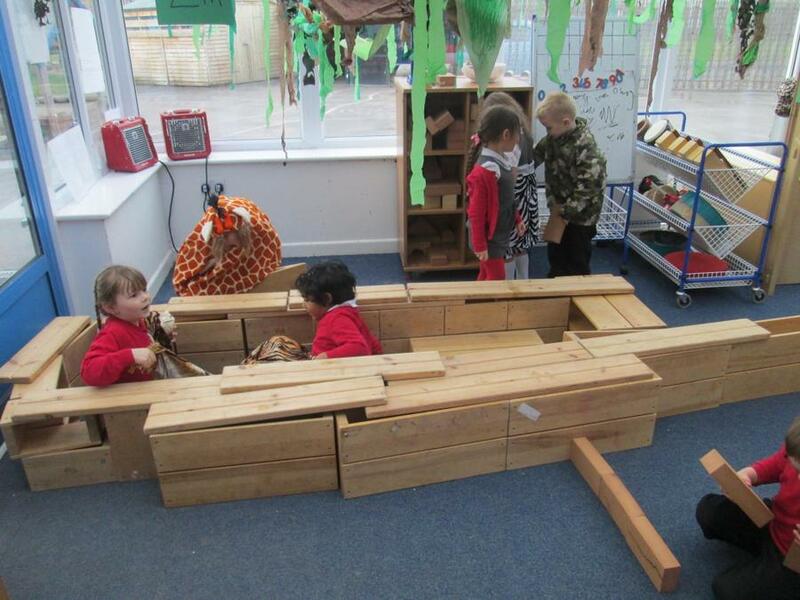 This term our topic is 'Into The Ark'. 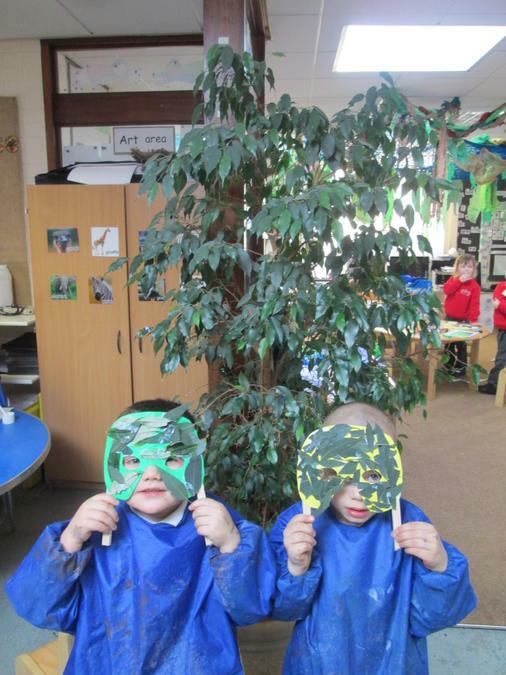 This term we will be learning about animals and exploring the Jungle. 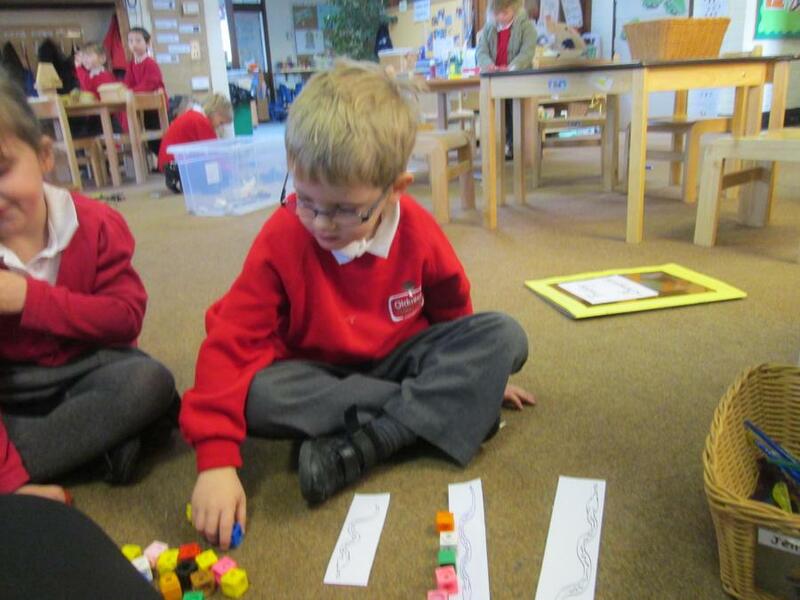 Mathematics: We will be counting animal legs and beginning to count in 2's. We will be learning how to measure and weigh objects to compare size. 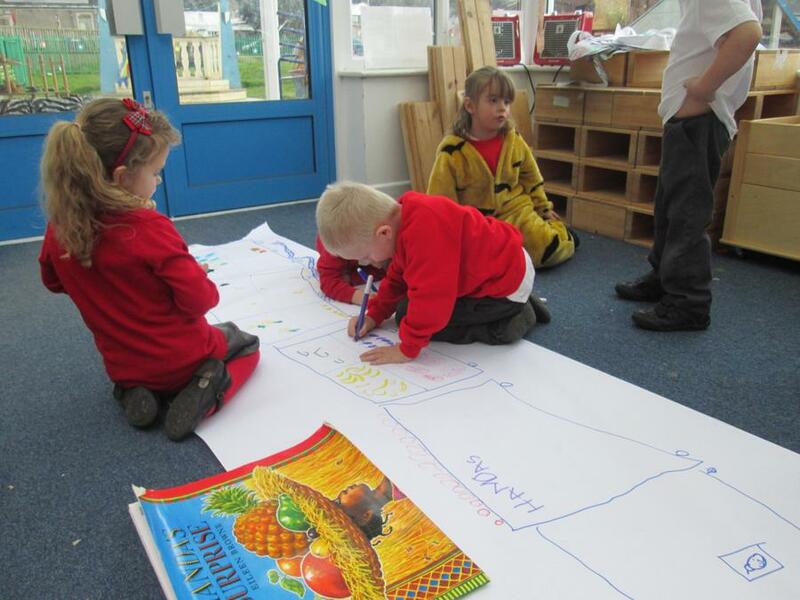 Literacy: We will be learning Noah's Ark story. 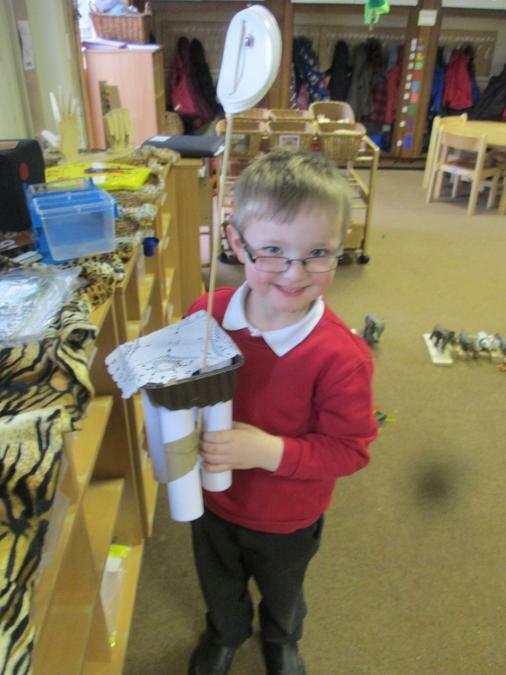 Using the story of Handa's Surprise we will be creating masks, paintings and making music. 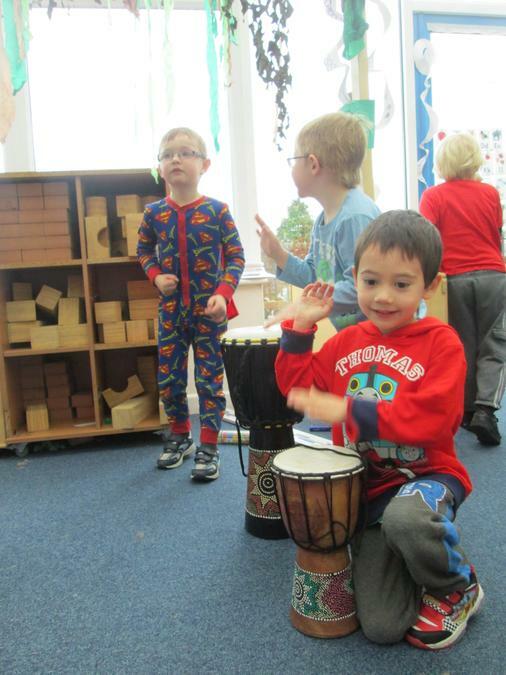 Personal, Social and Emotional: Learning how to talk to others and having positive behaviour. Show sensitivity to others. Take turns and share. 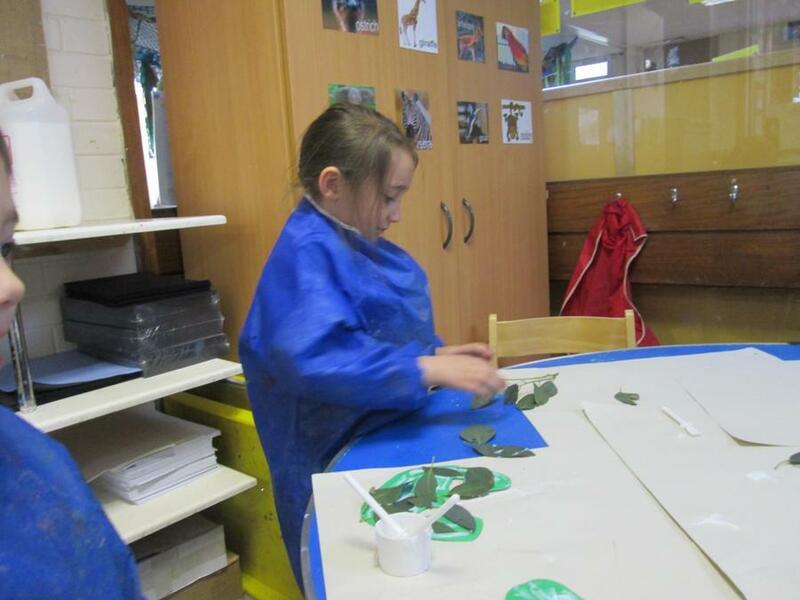 Expressive Arts and Design: We will be making animal patterns. 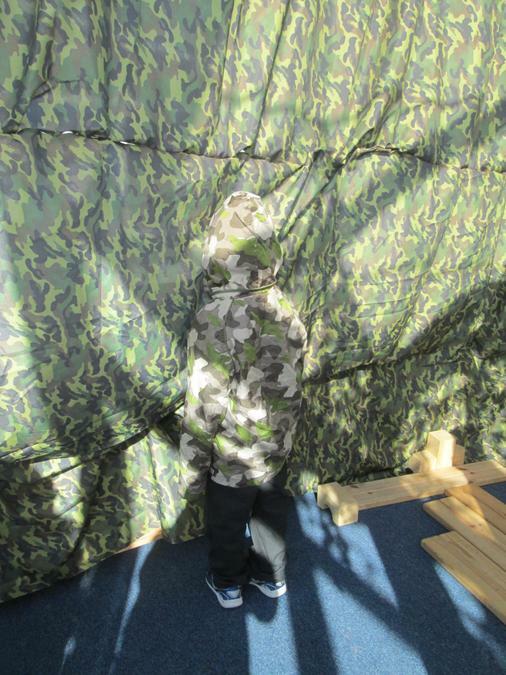 We will learn what camouflage means and creating art based on this. 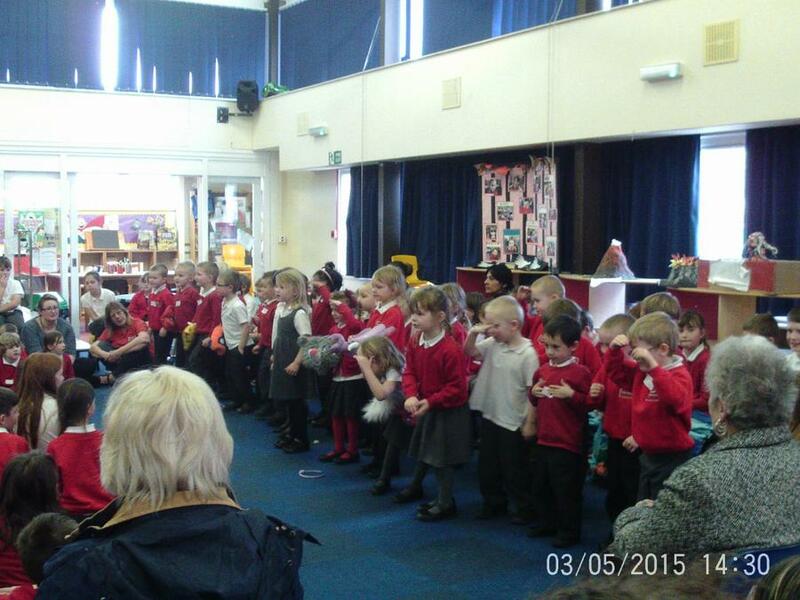 Reception will learn the Noah's Ark song and the Animal Boogie. Understanding the World: Understanding the environments animals live in. 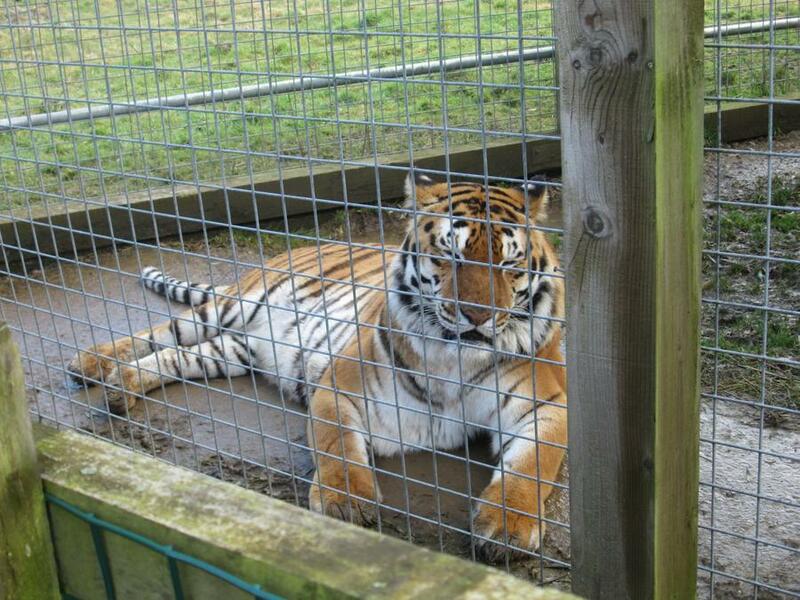 We will be looking at different African animals and animals from the jungle. 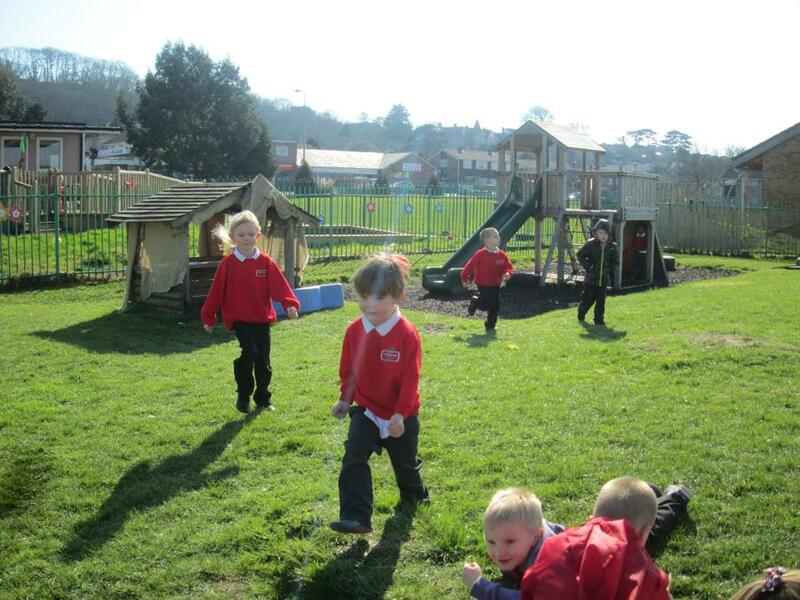 Physical Development: Ways to keep us healthy and safe. Understand what exercise means. Communication and Language: Asking questions. Working on our listening skills. Making up stories about animals. 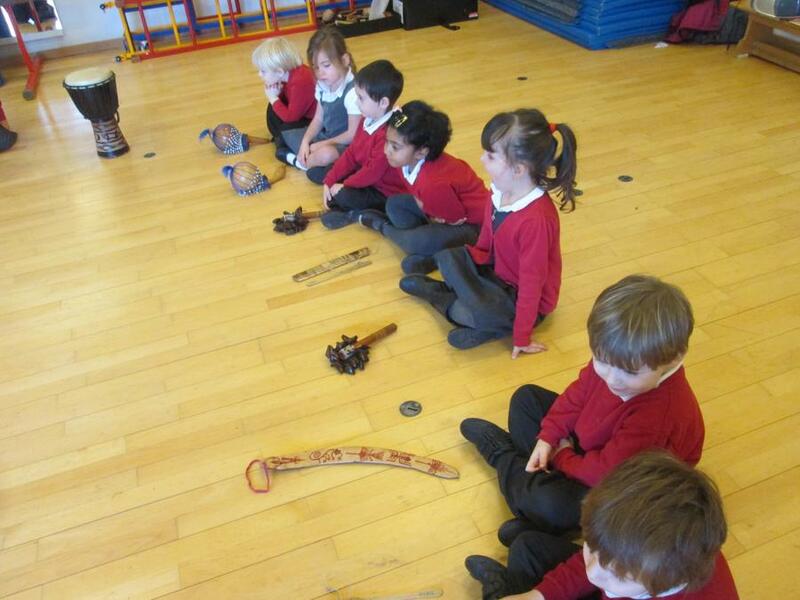 Reception have really enjoyed finding out about African animals. 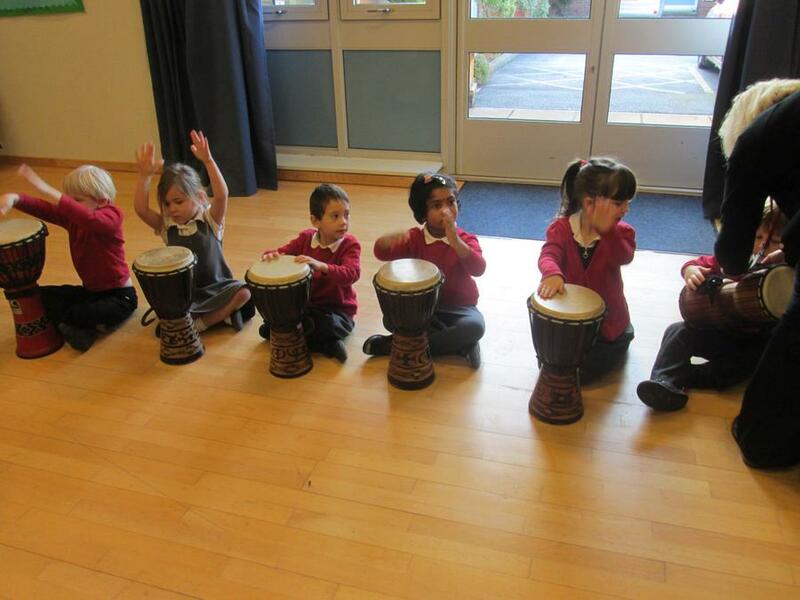 They took part in an African workshop to understand African music and instruments. 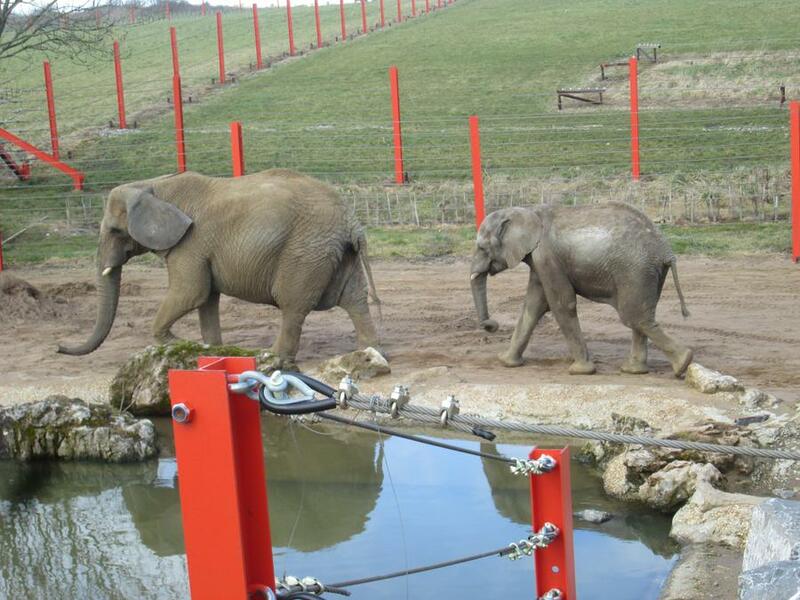 We all had a fantastic day at Noah's Ark Zoo Farm. 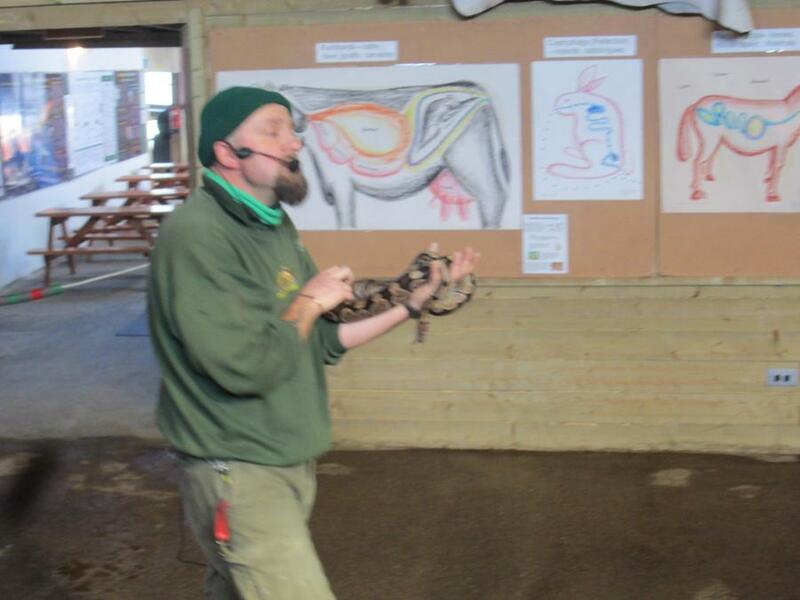 We got to see lots of African animals and ask our questions to the zoo keepers. 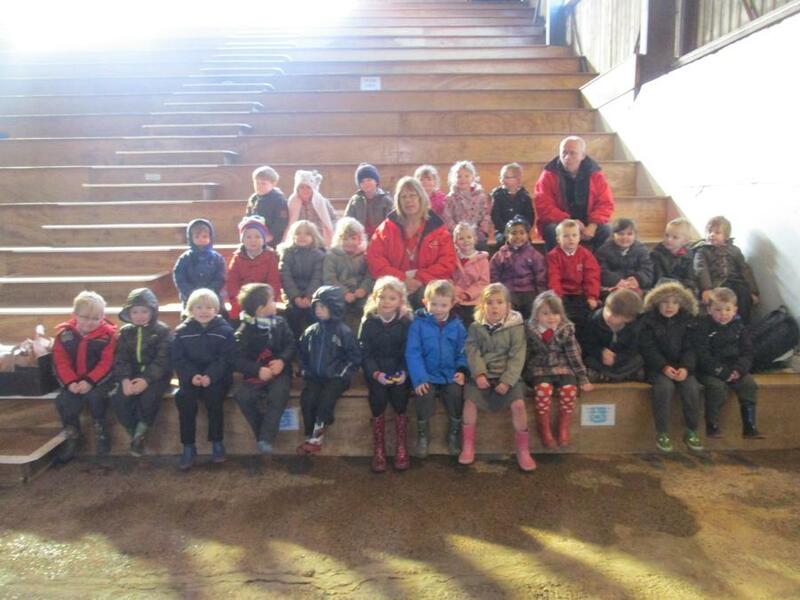 We watched the animal show and we had the opportunity to hold some farm animals. 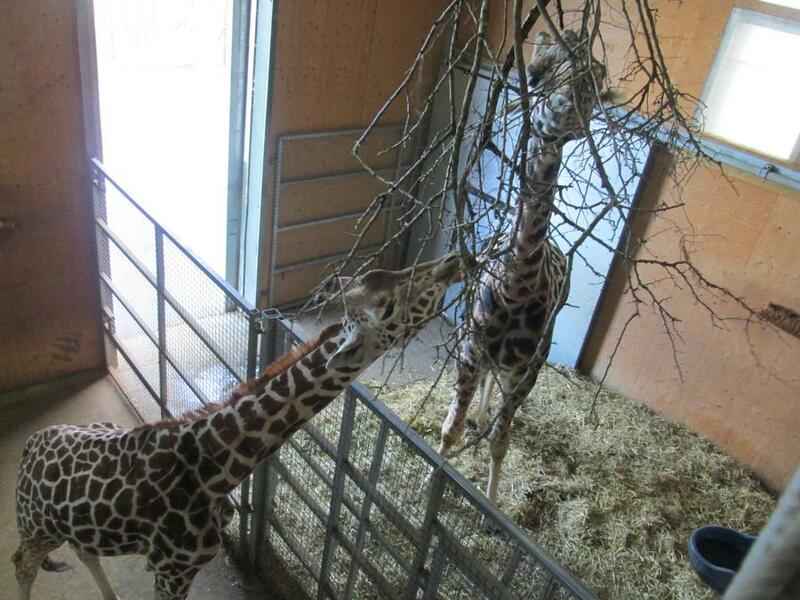 We learnt lots of new animal facts that we can now use in our learning. 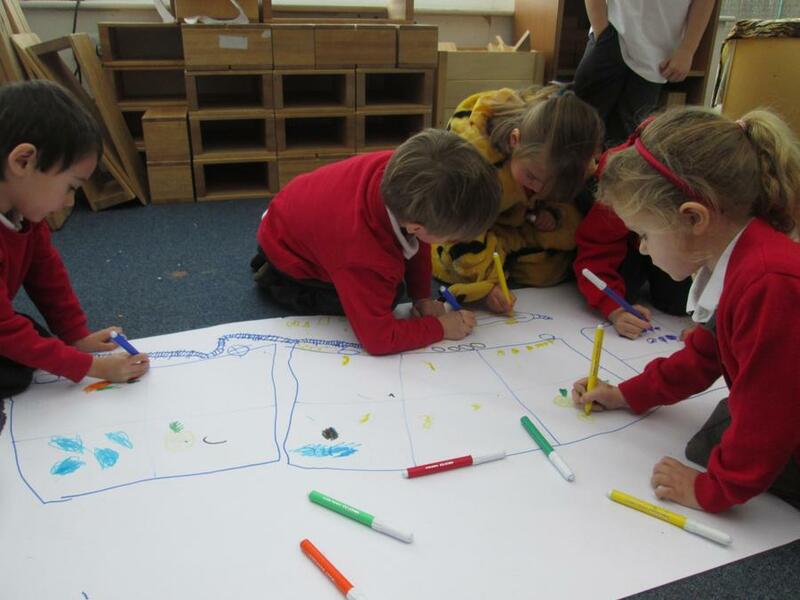 The children have used their knowledge from the zoo to create their own zoo in the classroom, using a map to get ideas from. 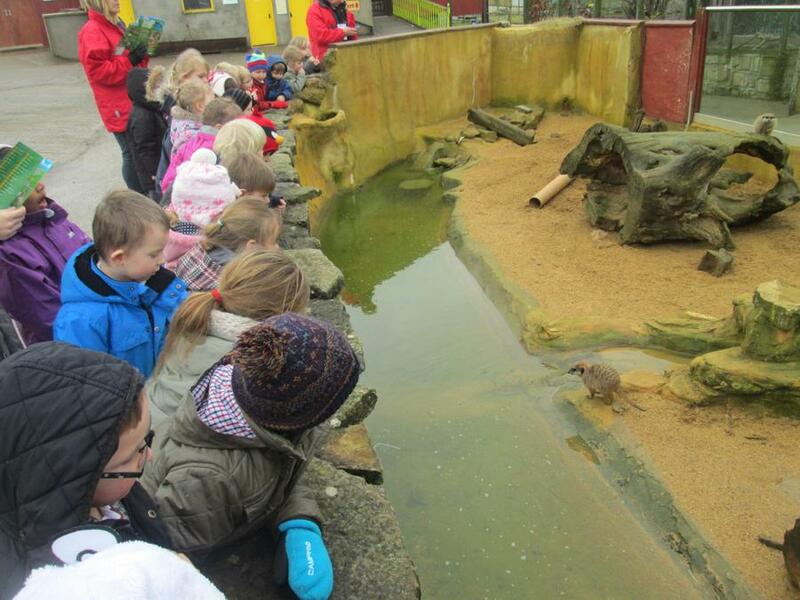 They have enjoyed sorting the animals out to make different sections in their zoo. 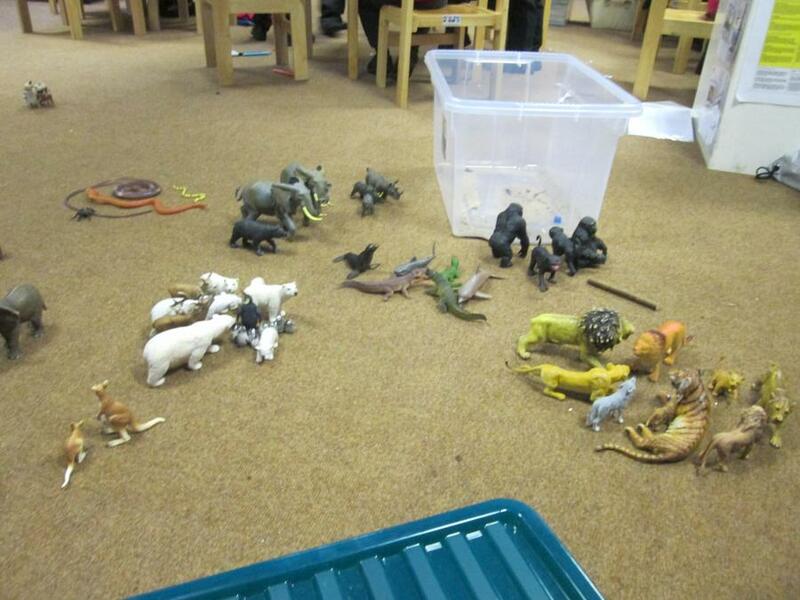 The children have been learning the story of Noah's Ark. 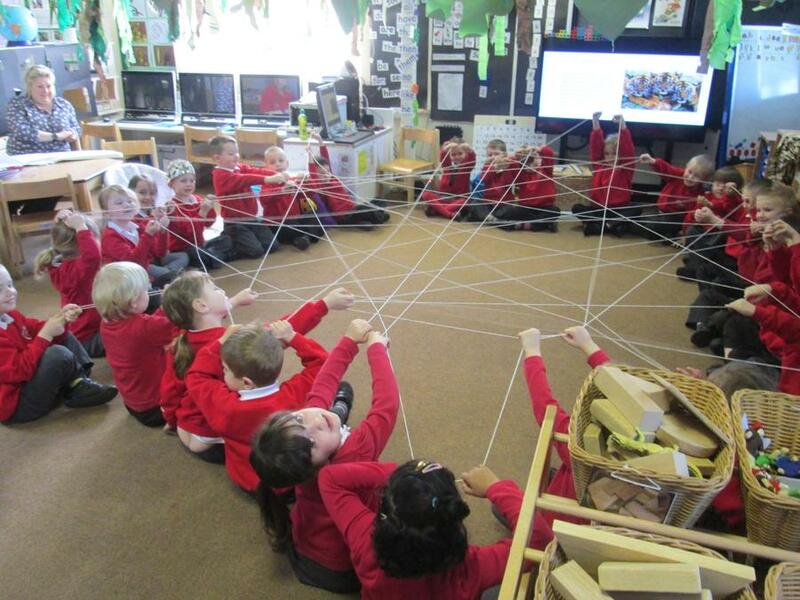 We have acted it out together to help us re-tell the story. The children used these ideas to create Noah's Ark with building bricks in the Conservatory. 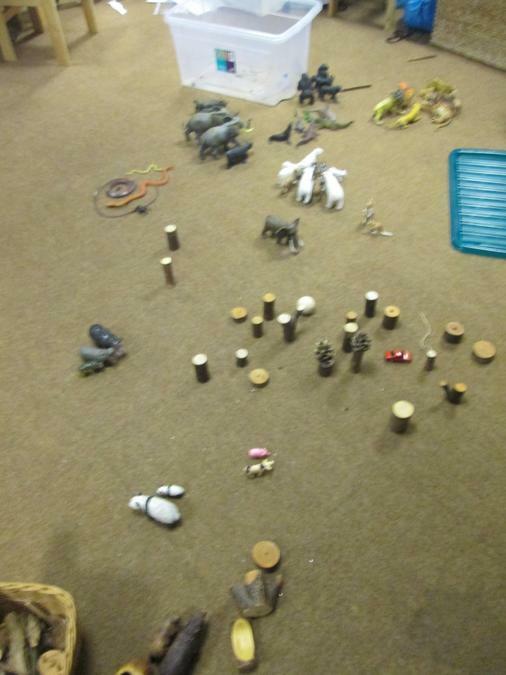 They then enjoyed role-playing different animals and being Noah to re-create the story. 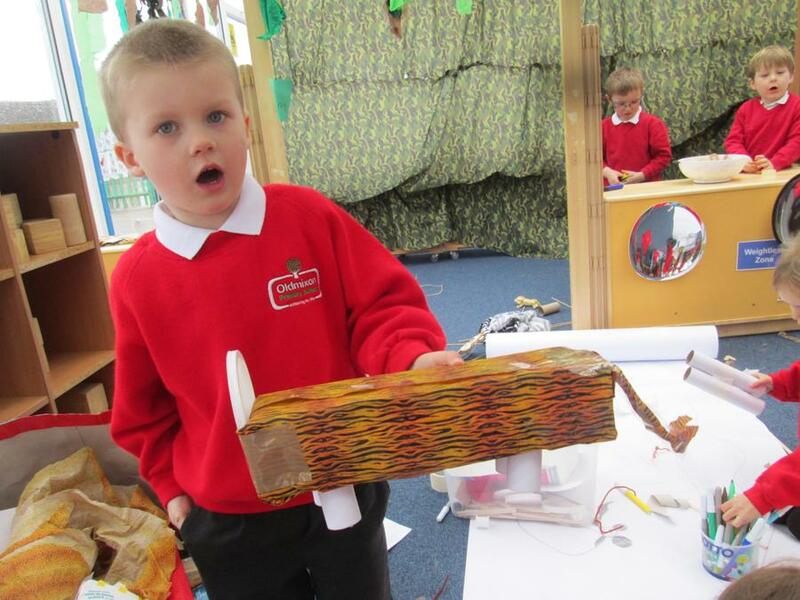 We have also painted our own ark to create our own stories based on Noah's Ark. 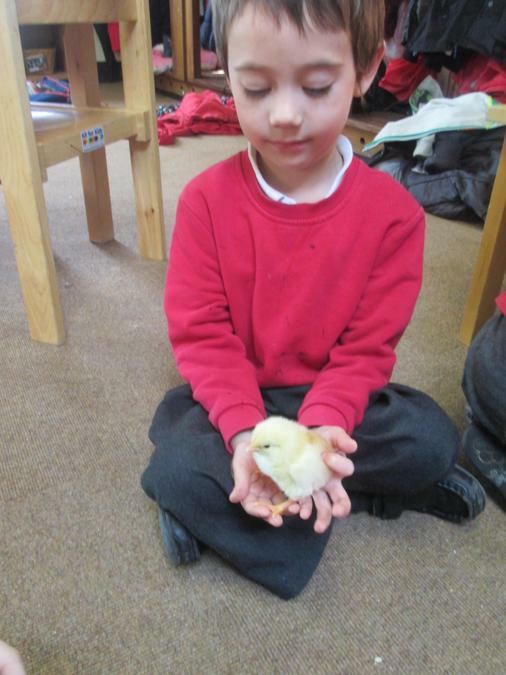 We had a visit from Farmer Nick who has given Reception some eggs to look after. 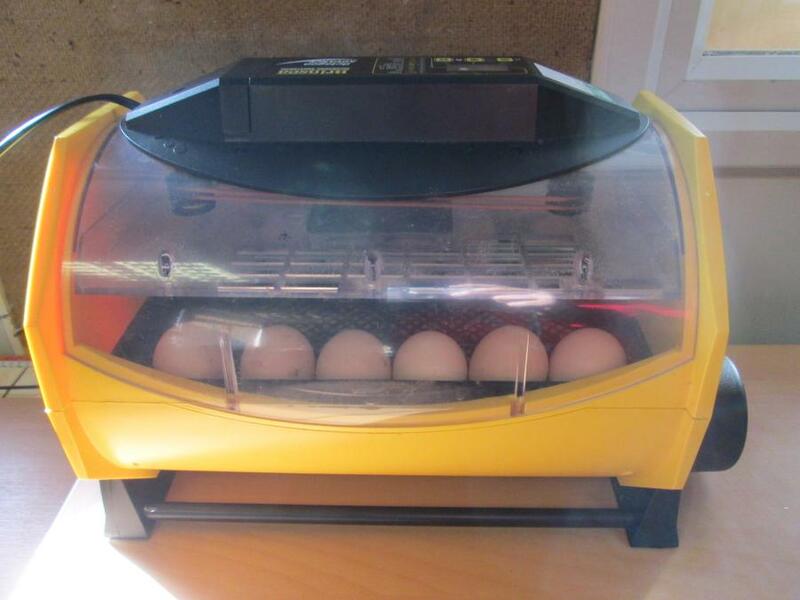 We have made sure the eggs are in the right conditions so that in a couple of weeks they will hatch into baby chicks. We are really looking forward to this happening. 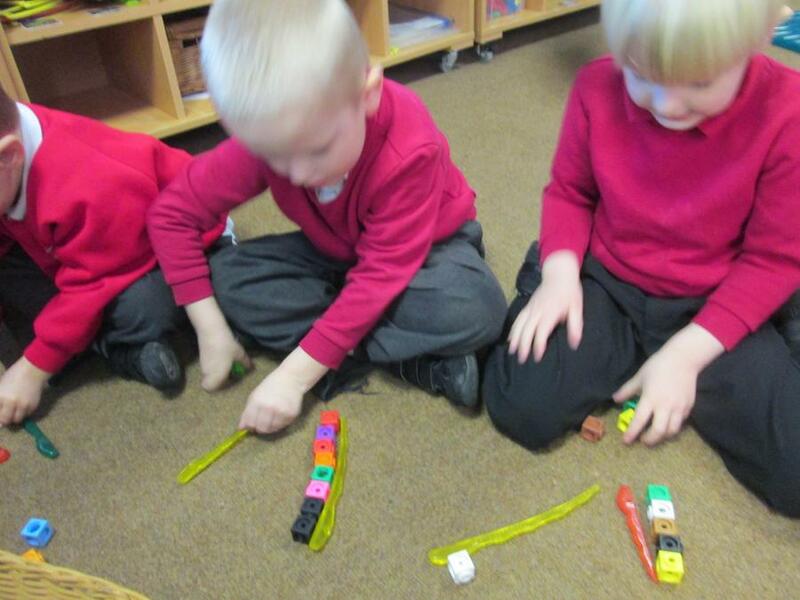 We have been learning how to measure. We used cubes to measure different snakes. 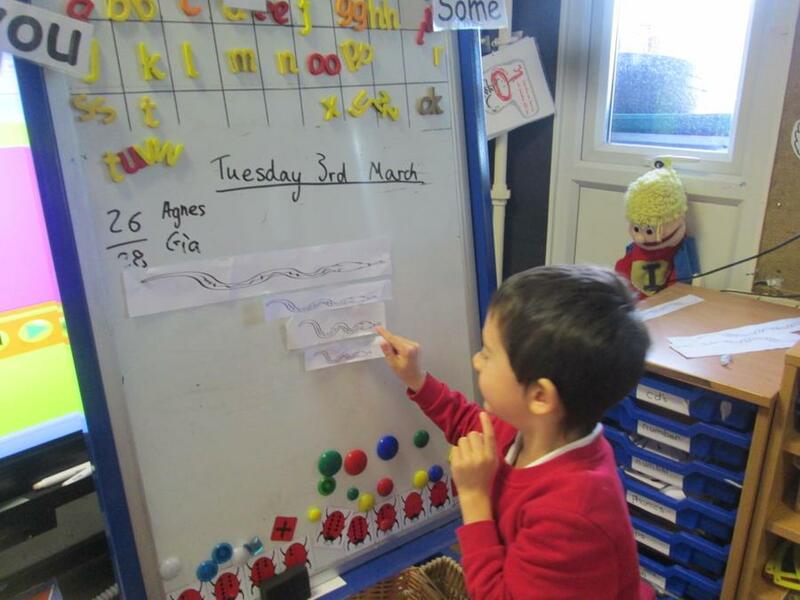 We have learnt the words shortest and longest and can use this in our measuring investigations. 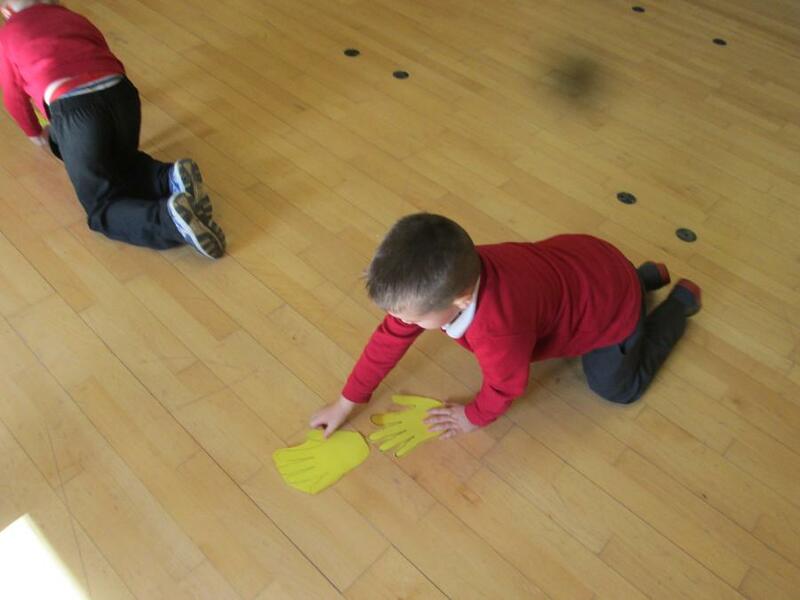 We have learnt that when measuring longer lengths cubes it would take a long time so we decided to use hand outlines. 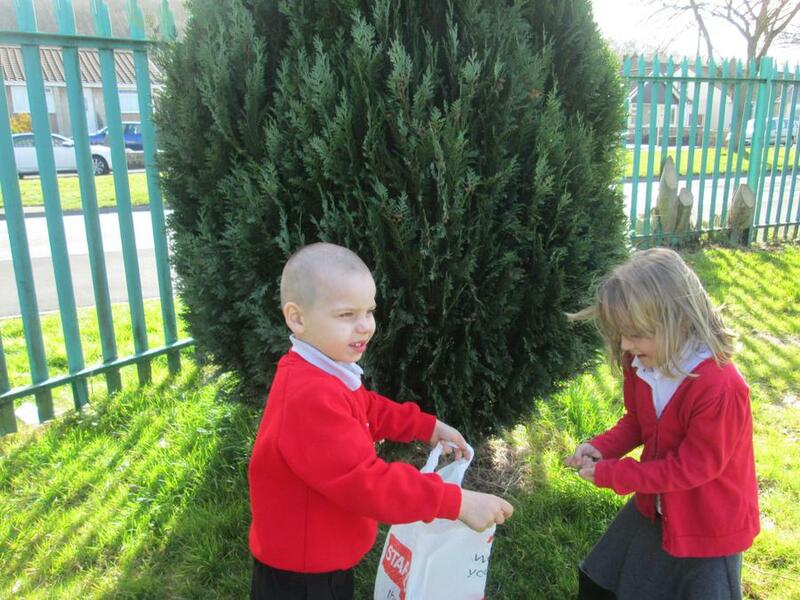 We went on a measuring hunt around the school to find longer lengths. 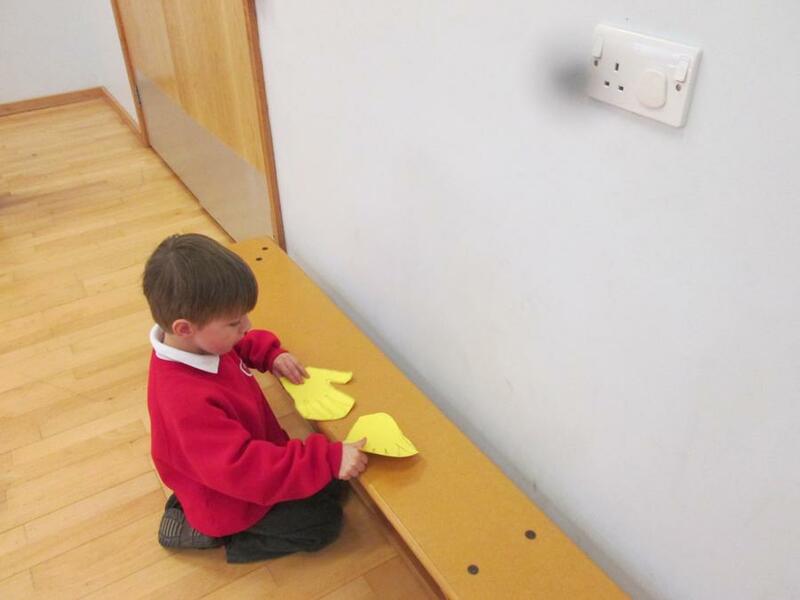 Here are some children measuring in the Hall; they measured doors, benches and the width of the room. 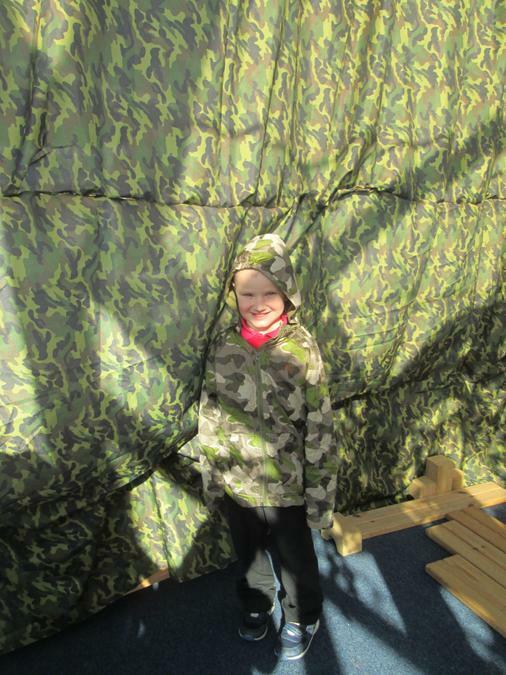 We have learnt all about camouflage and how animals hide away in different environments. 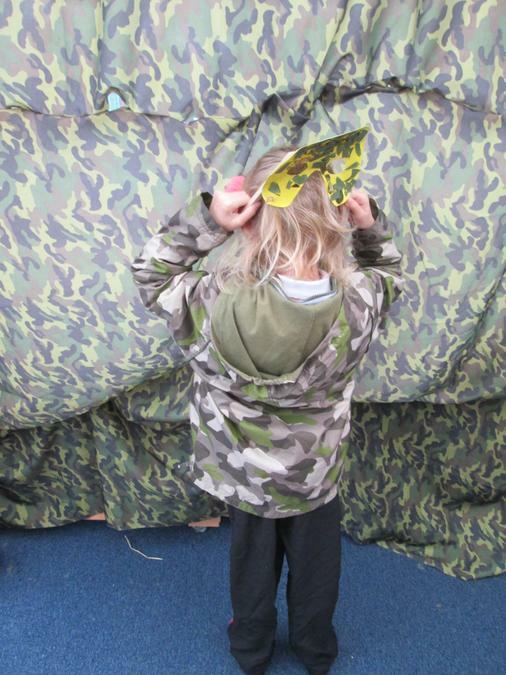 We investigated whether we could camouflage ourselves with different backgrounds. 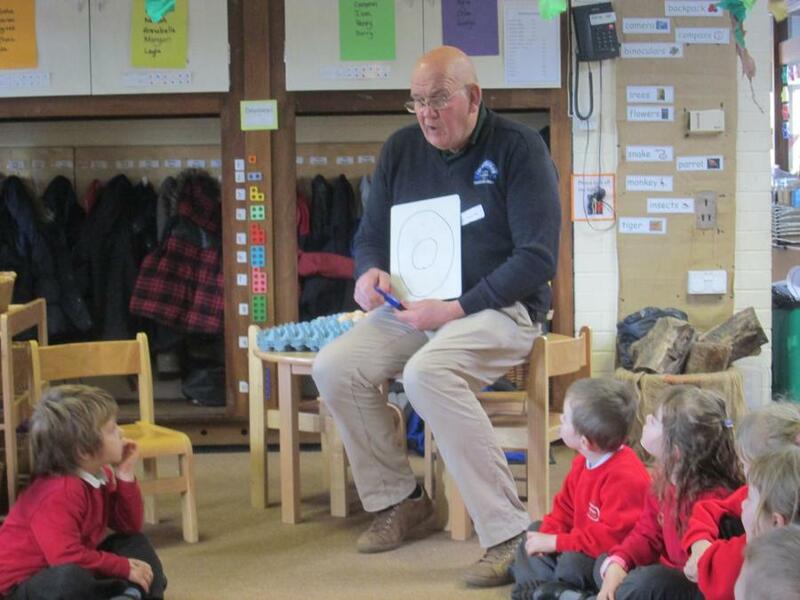 On World Book day all the children learnt about one book. 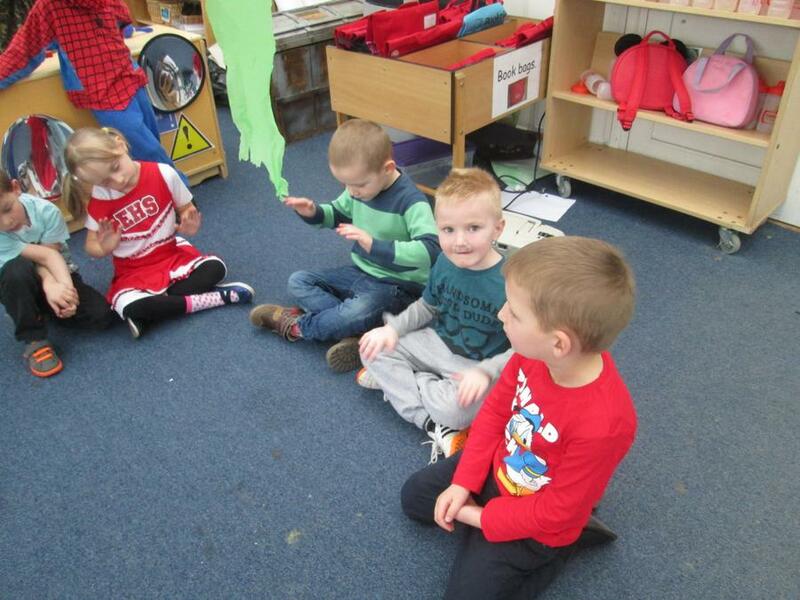 In Reception we learnt the Animal Boogie. 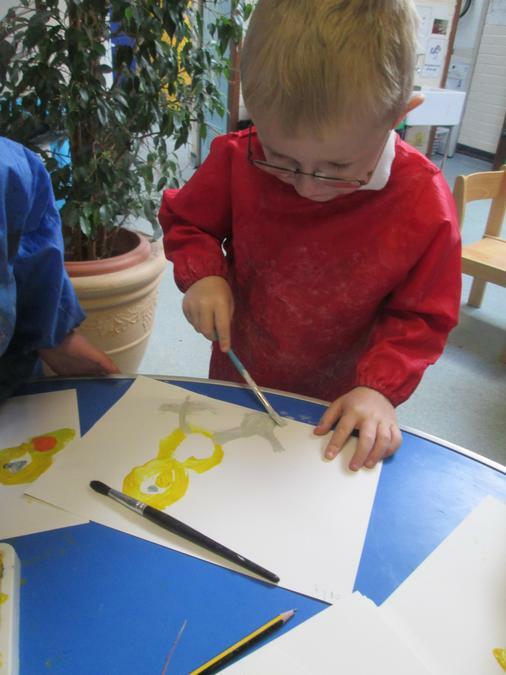 We made snakes and animals from the story, we wrote about our favourite character and learnt the song. 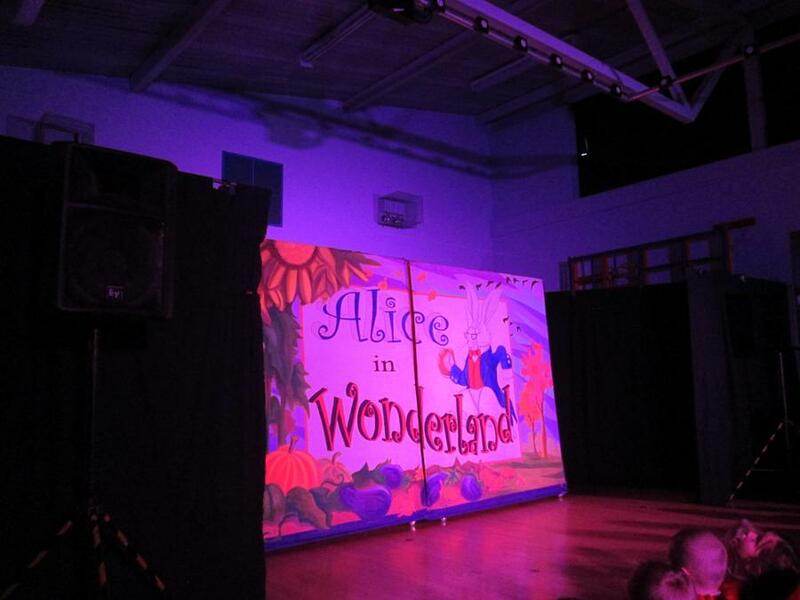 The Reception team were all really pleased with the Animal Boogie performance in assembly; everyone joined in with such confidence and the dance was fantastic. 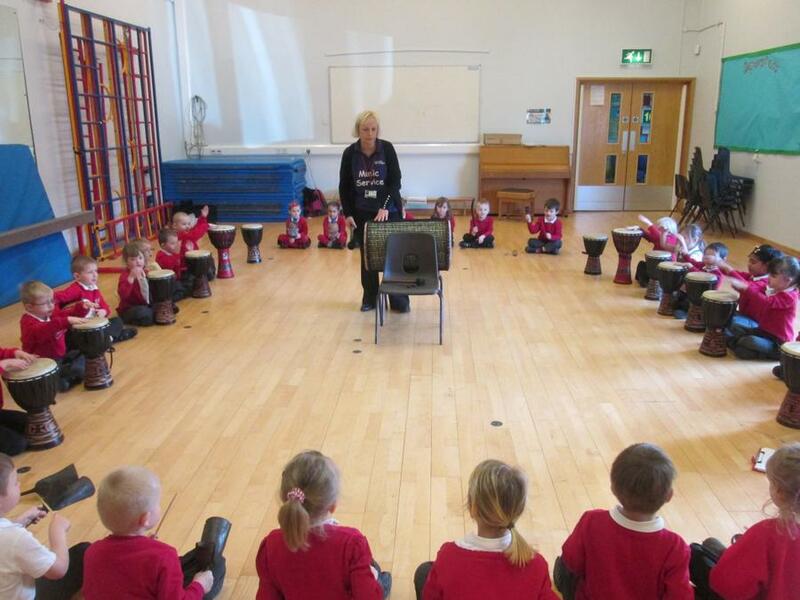 Well done to Reception class. 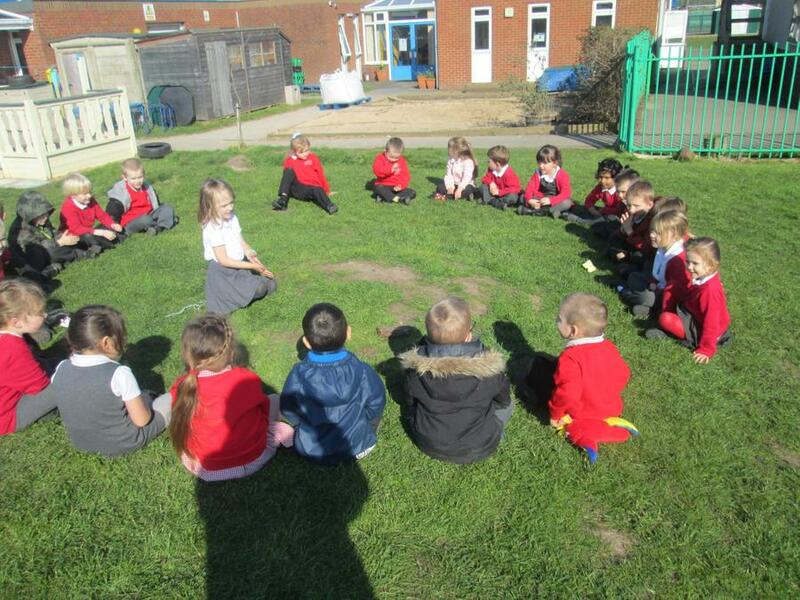 The children have learnt the story of Handa's Surprise where Handa goes on a journey with a fruit basket and when she gets to her destination all the fruit has gone because animals ate it on the way. The children have come up with their own version of the story with a train of fruit and enjoyed drawing this in the conservatory. 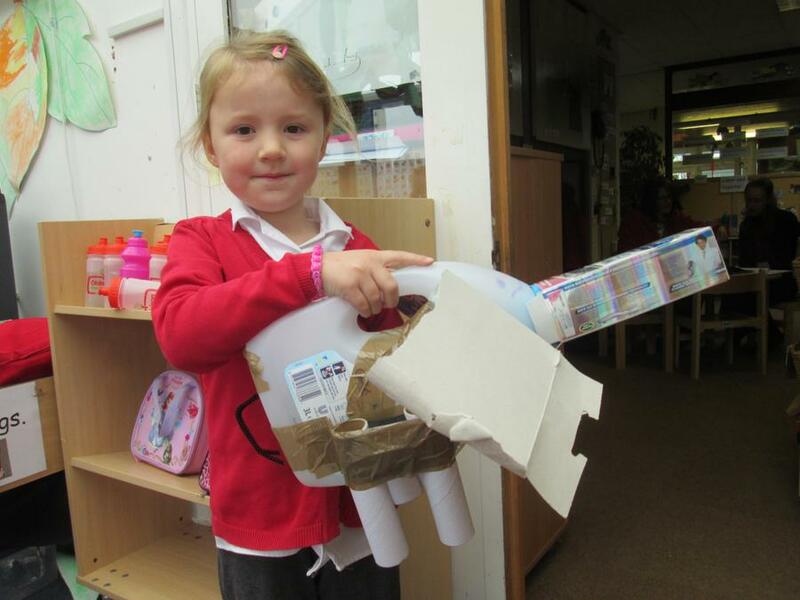 The children created animals from the story using junk modelling and animal print paper. 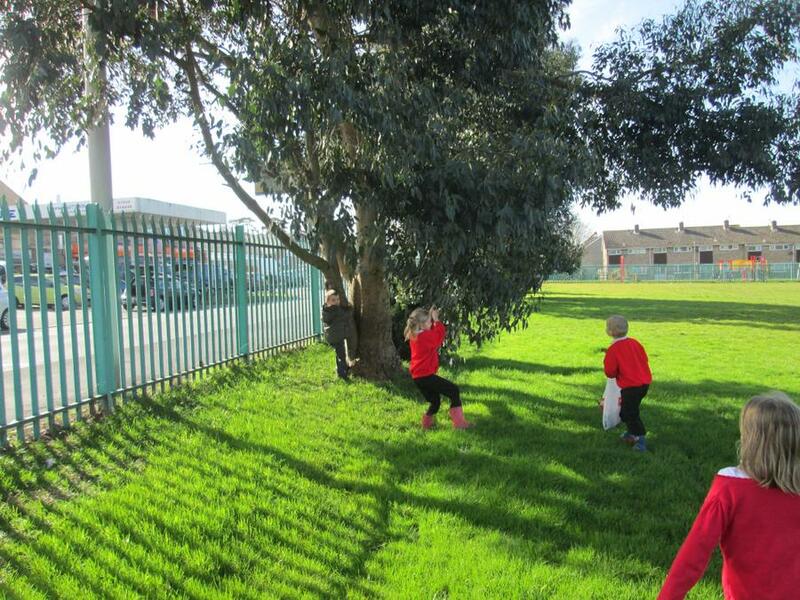 The children went into the playground to find different leaves to make camouflage art work from. They enjoyed going to hunt for the leaves. 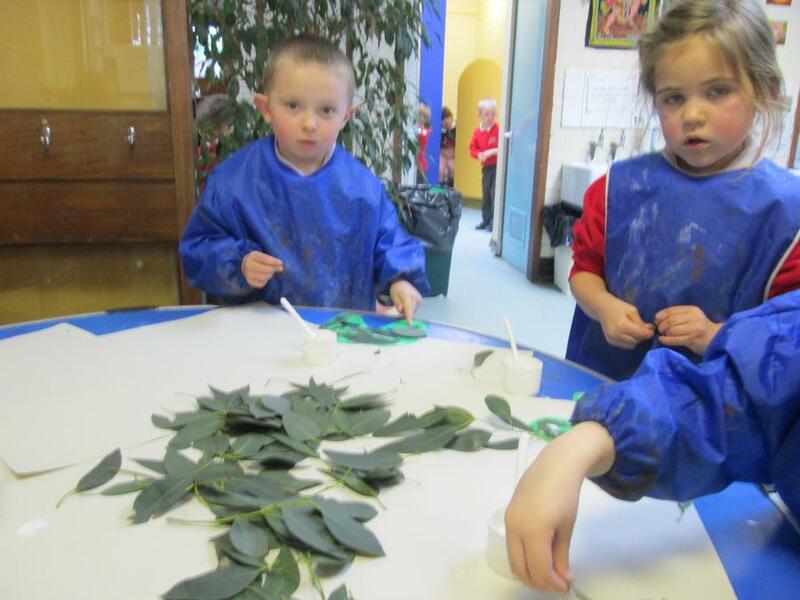 We then created a camouflaged mask with the leaves. 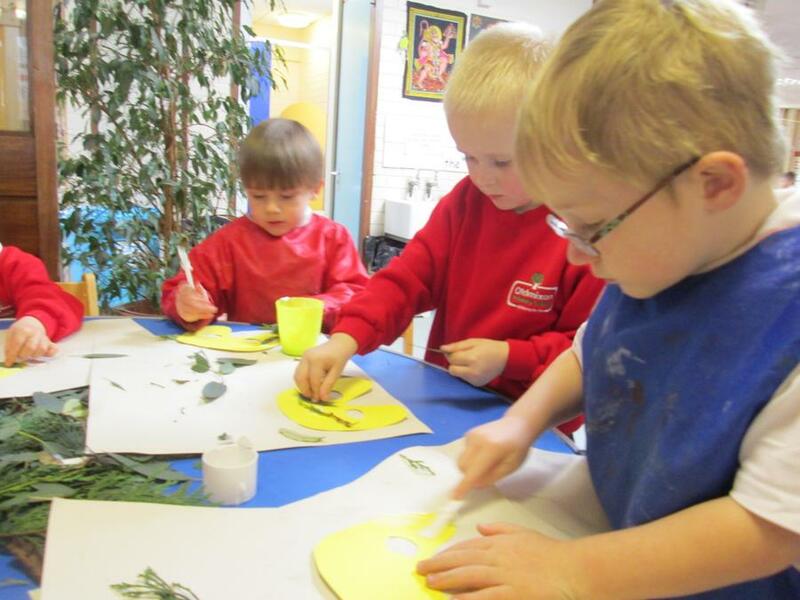 The children glued them on to a mask template to cover the paper by layering them. 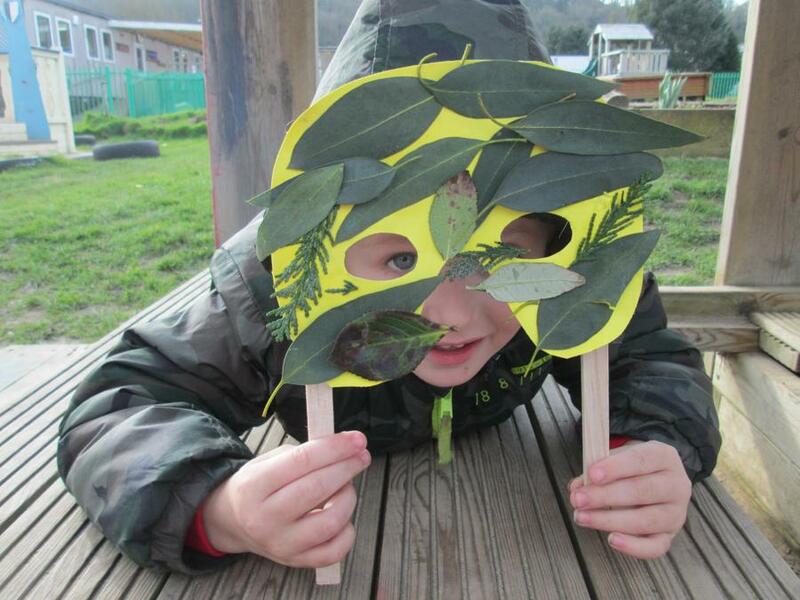 The children then played with their masks and tried to find places they could camouflage themselves with just like animals do. 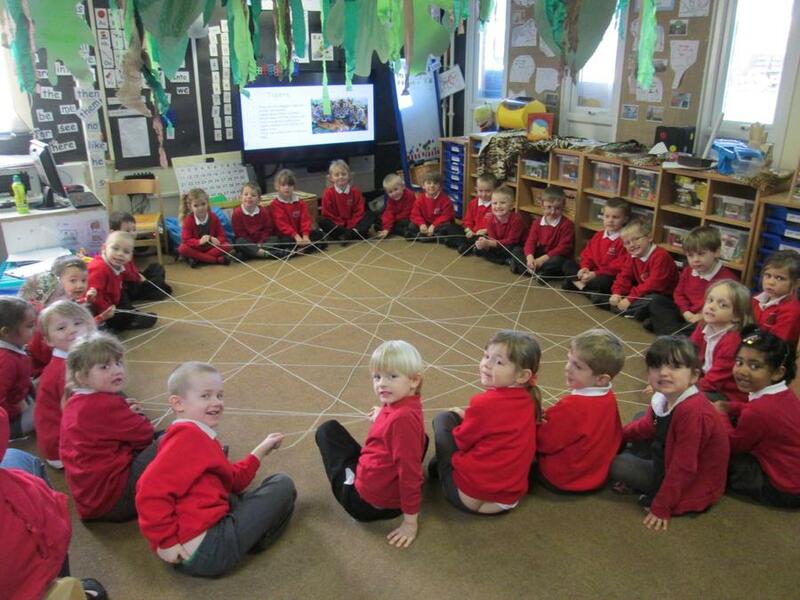 In class we created a web; each child shared a fact they had learnt about a Jungle animal and then passed the string around and when we had finished we had created a web. 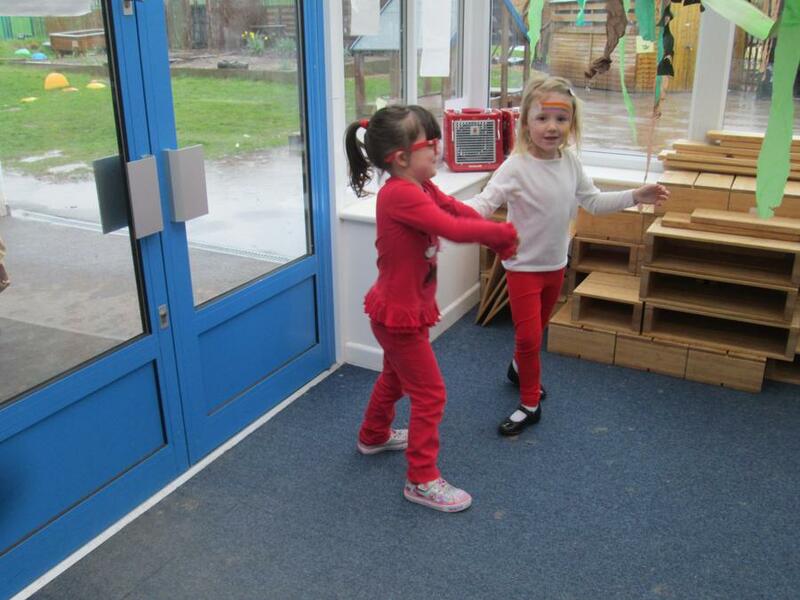 This week we have been making up dances with our imagination. 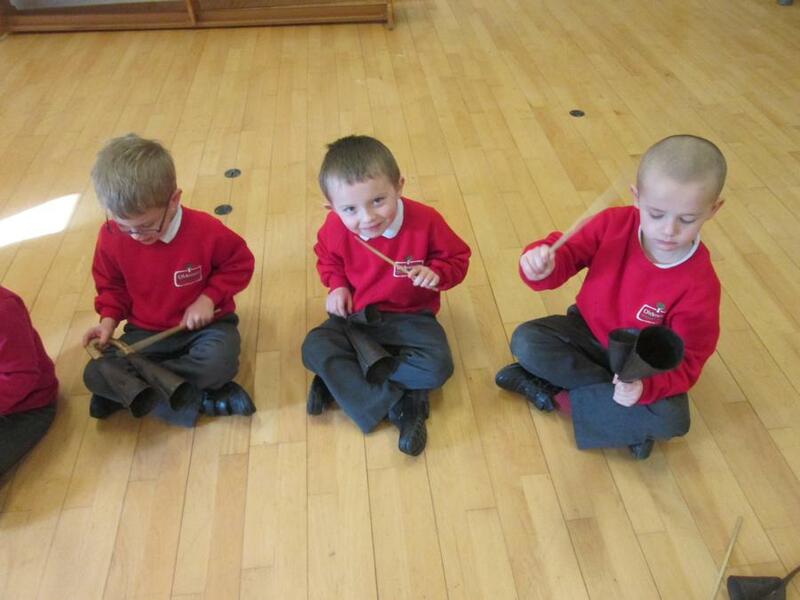 We have learnt how to find the beat in a song so we are able to play an instrument with the music. 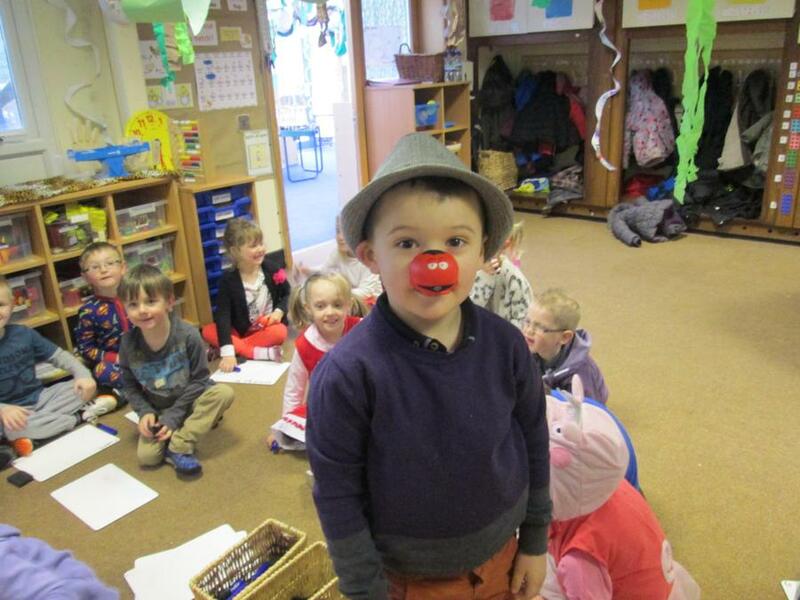 We finished Week Three with Comic relief and discussed why it was great to help people. 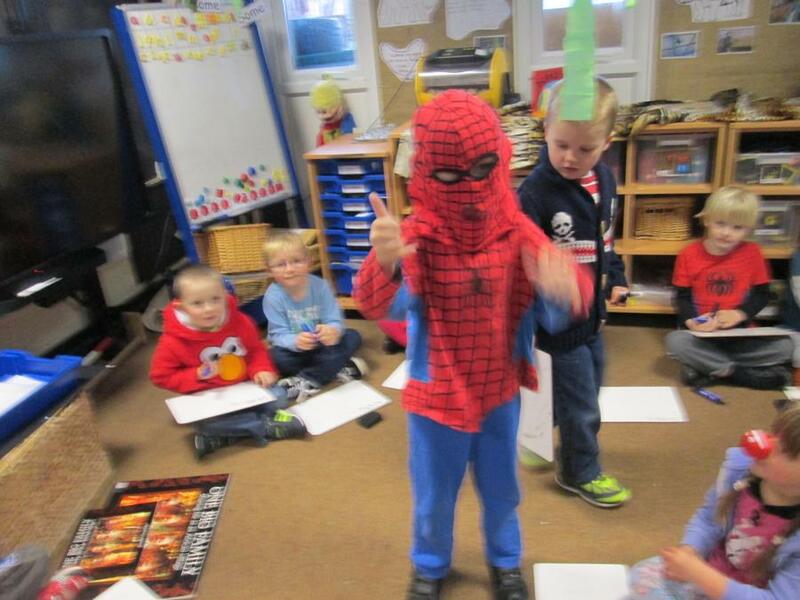 We had some fantastic dressing up to raise money. 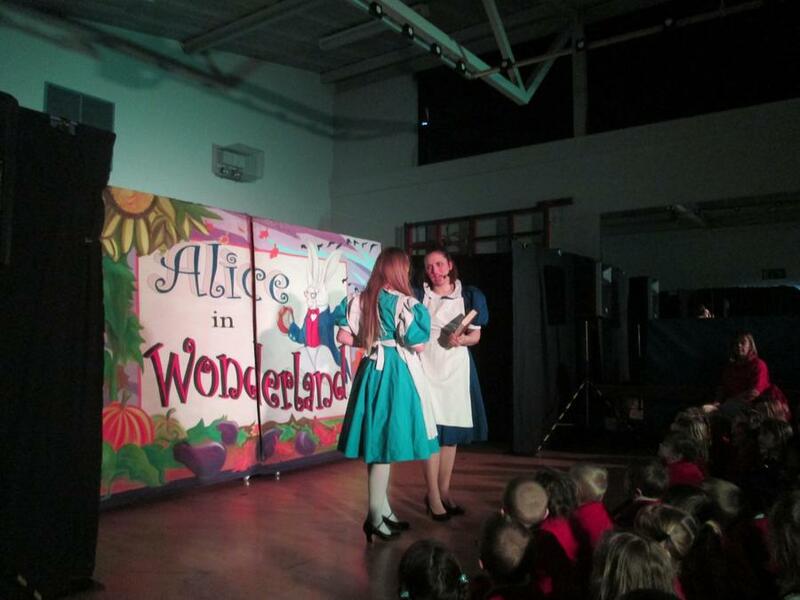 At the start of the week the children really enjoyed watching Alice in Wonderland. 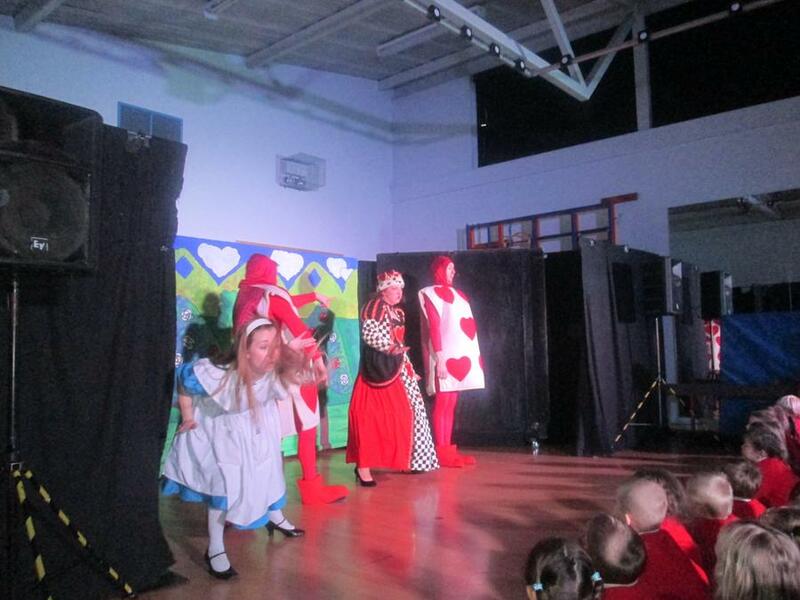 The children then acted out the fairytale and re-told the story. 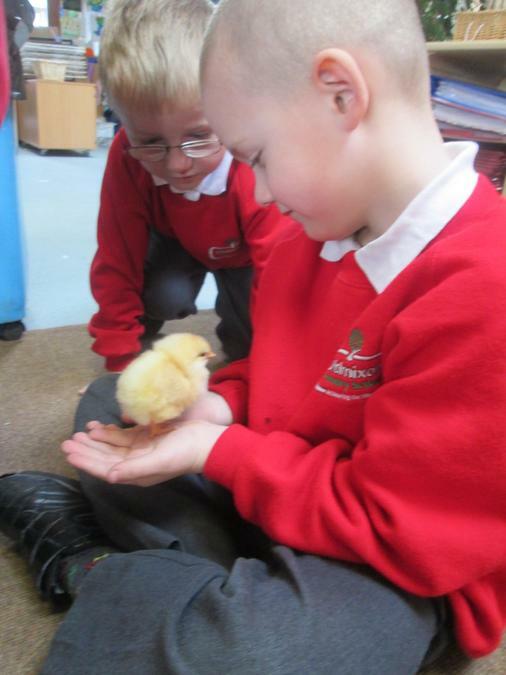 The children have been counting down the days until our chicks arrive, so this week has been very exciting to finally meet our chicks. 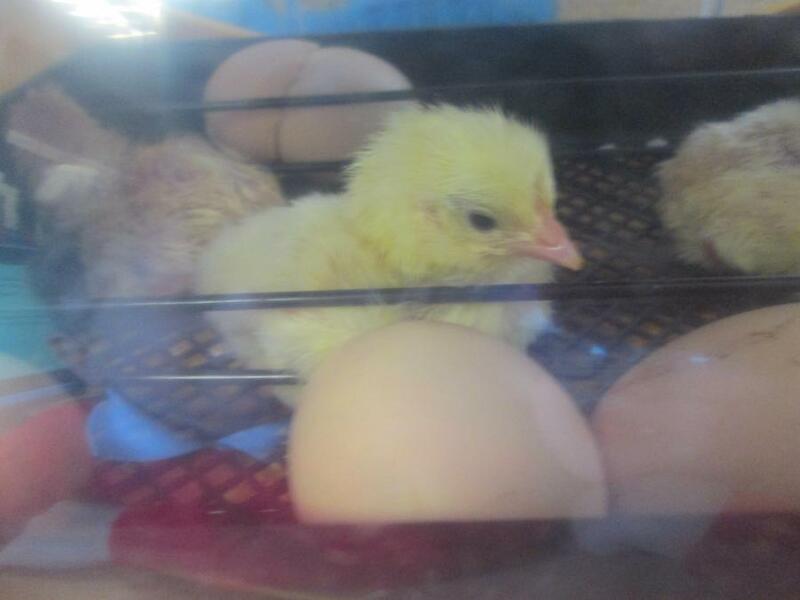 The children watched them pecking out their egg and the first moments of their life. 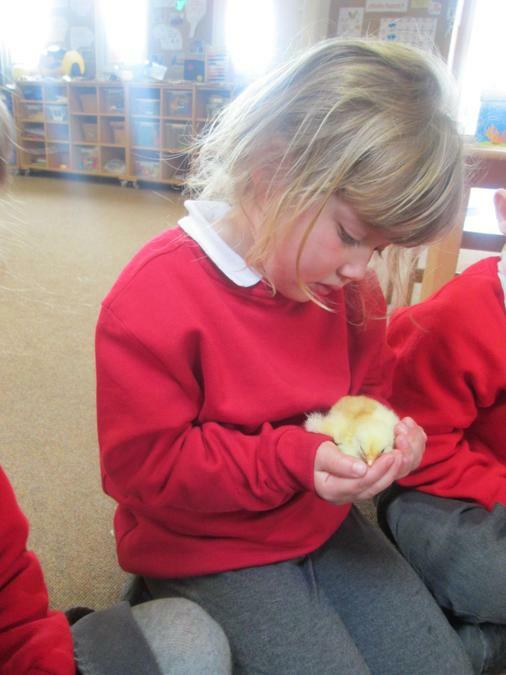 Reception have looked after the chicks and loved holding them making sure they were careful. 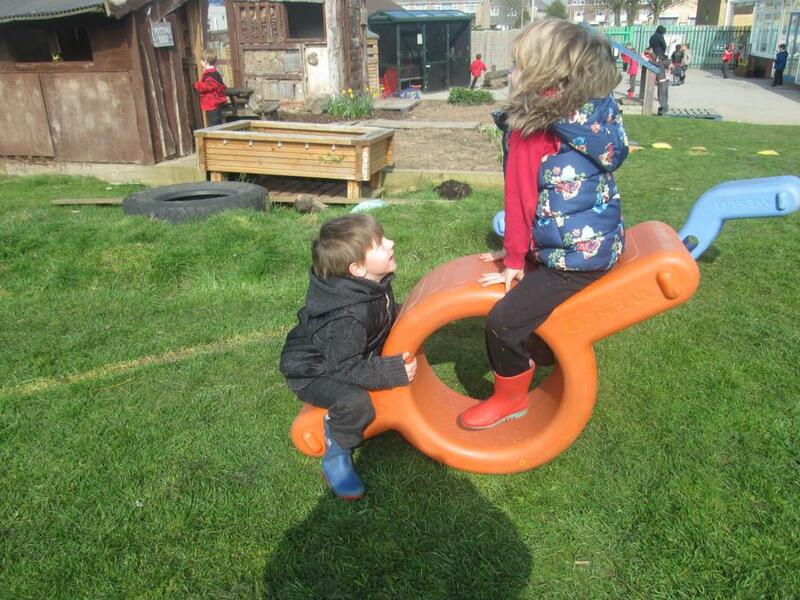 This week we have been focusing on having the confidence to try new activities. 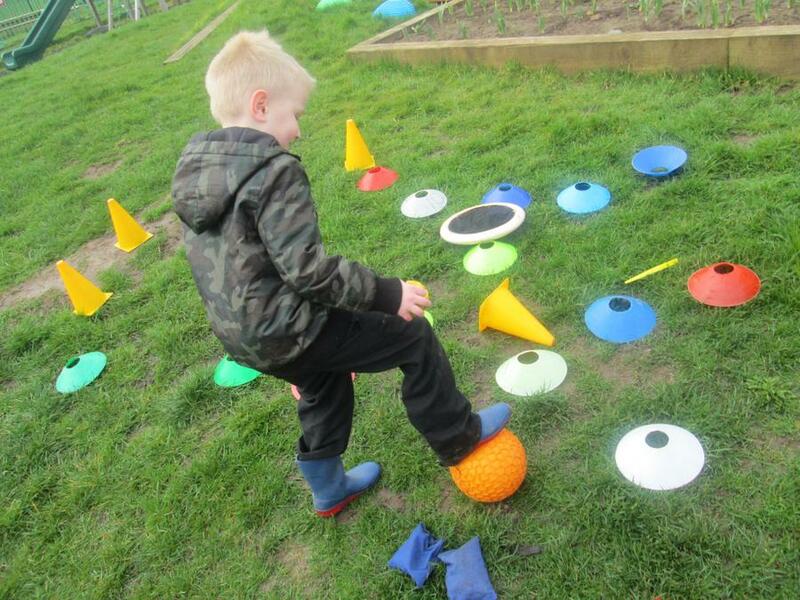 There has been lots of equipment for the children to play with outside and make their own challenges with. 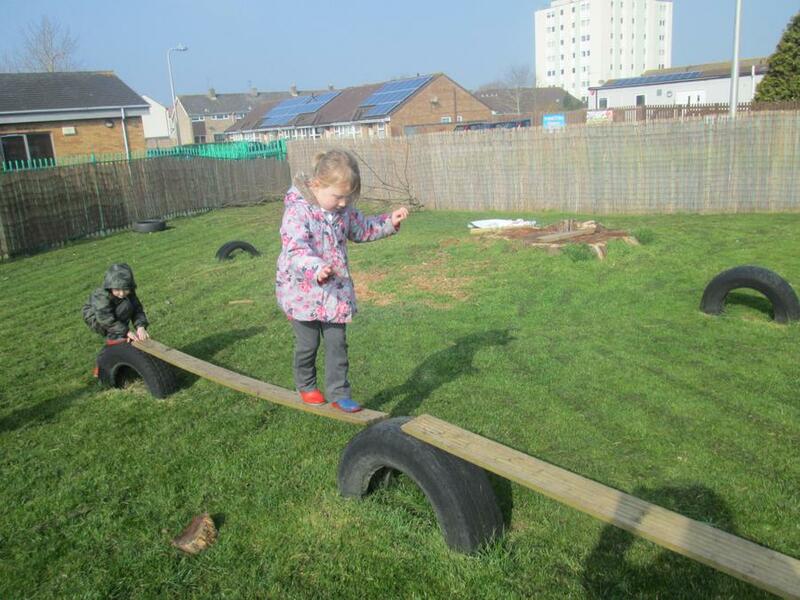 We have been working on our balancing, jumping and movement skills. 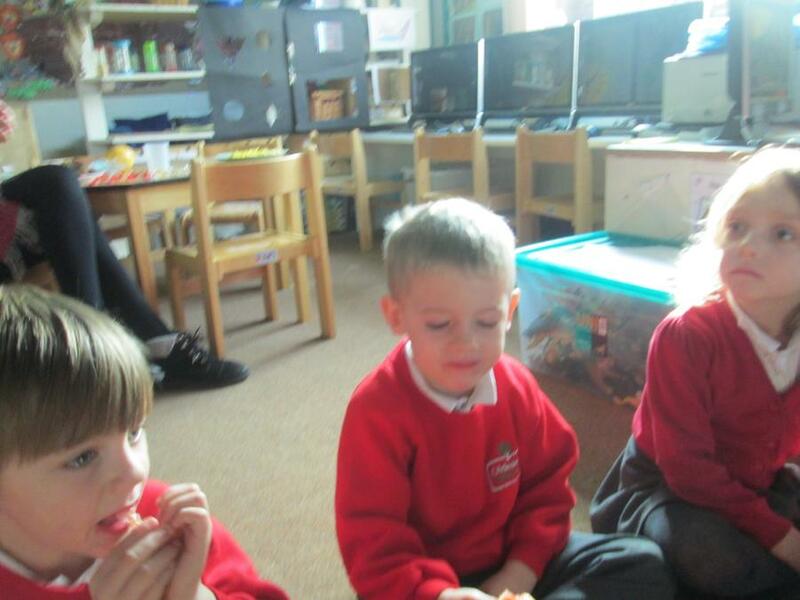 We have been learning Handa's Surprise story and this week we have tried some fruit that she chooses to take to her friend in the story. 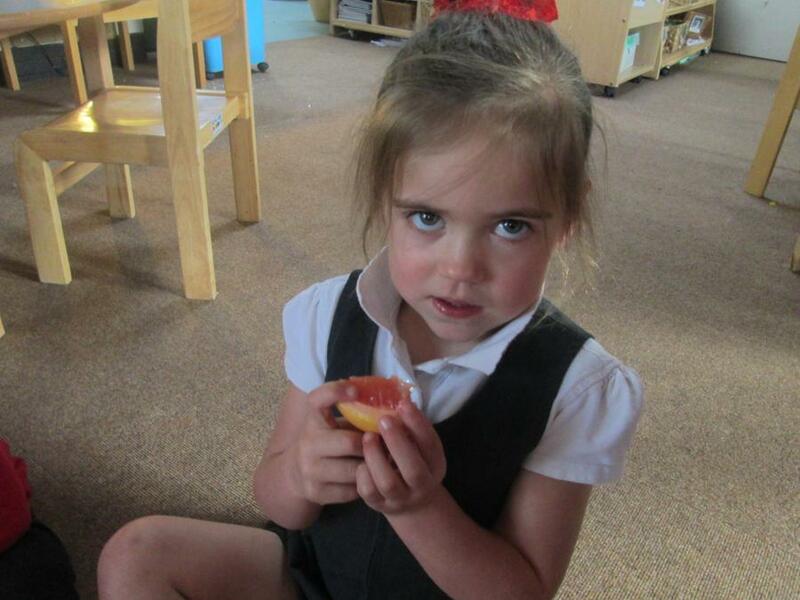 The children tried Mango, Grape Fruit, Pineapple and Passion Fruit. 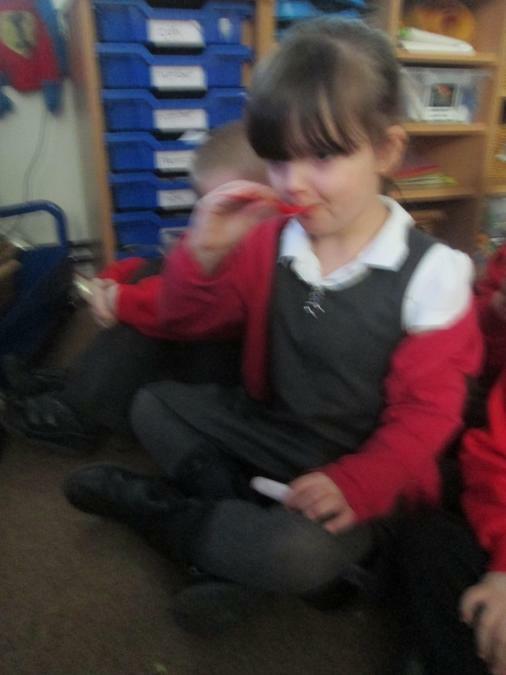 We discussed what we thought it tasted like and the differences between them. 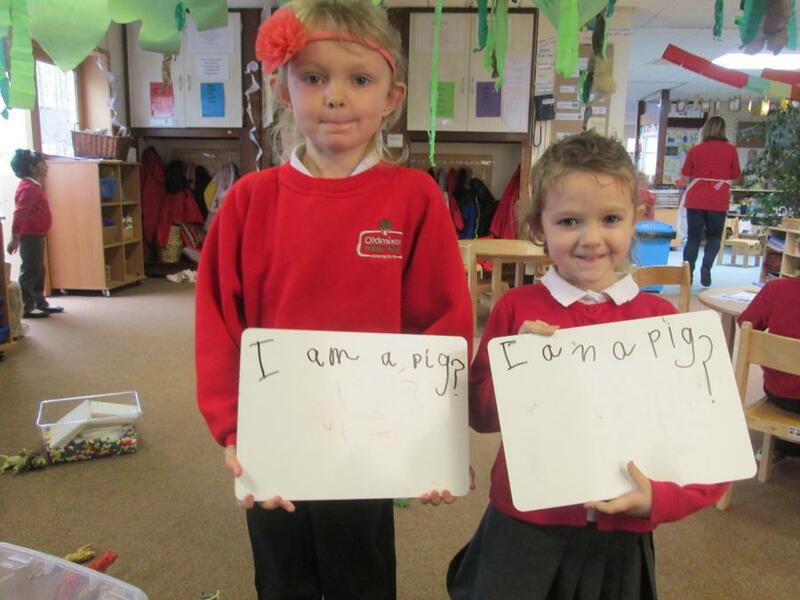 We have been writing this week and Reception have tried their best to do this independently. 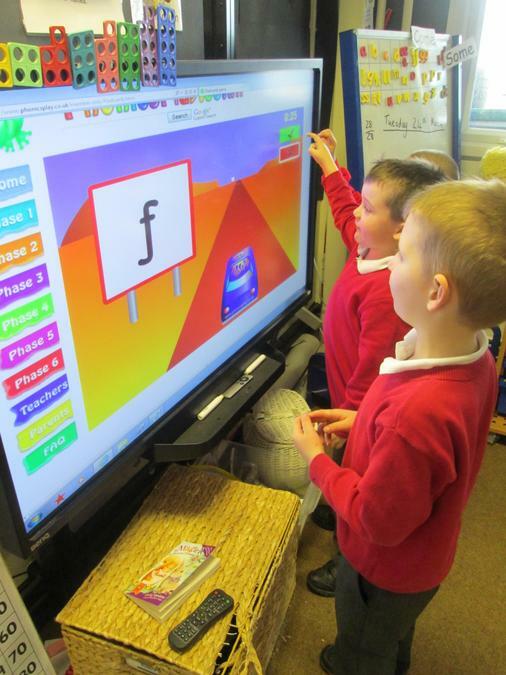 They children have enjoyed practising their sounds and writing on whiteboards. 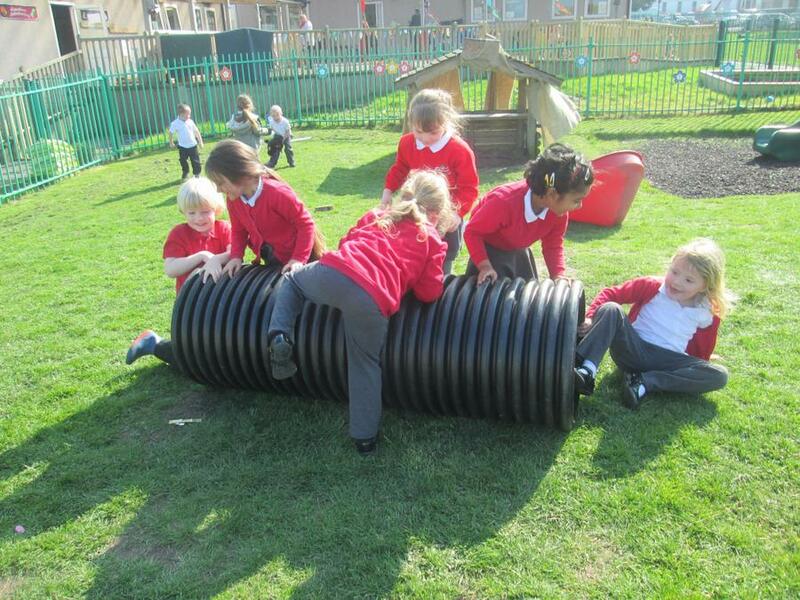 This week we were working on friendship and playing together. We discussed the rules in our classroom and how we can reflect on our behaviour. 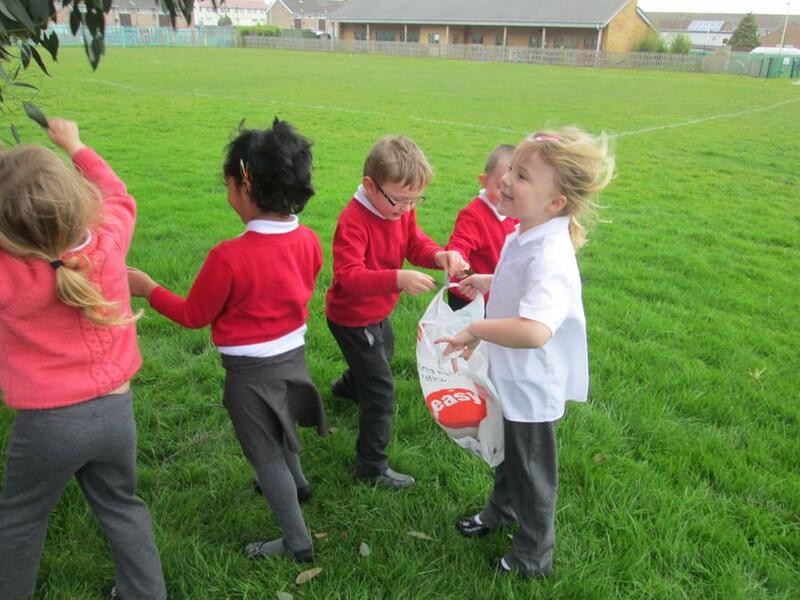 Reception class all played games outside together building on teamwork and co-operating with others. 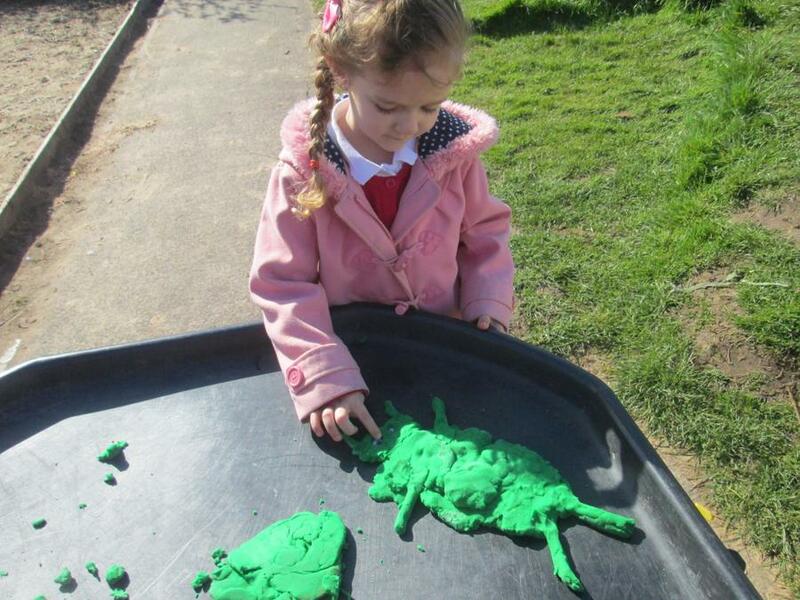 This week we took the art materials outside to let the children explore with the materials in different ways. 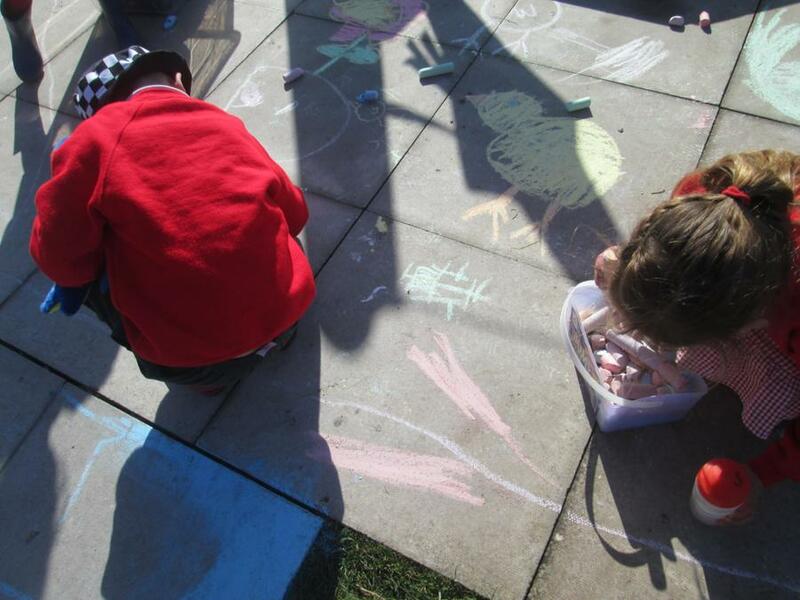 The children liked drawing with the chalks on the playground and making their own games from their drawings. 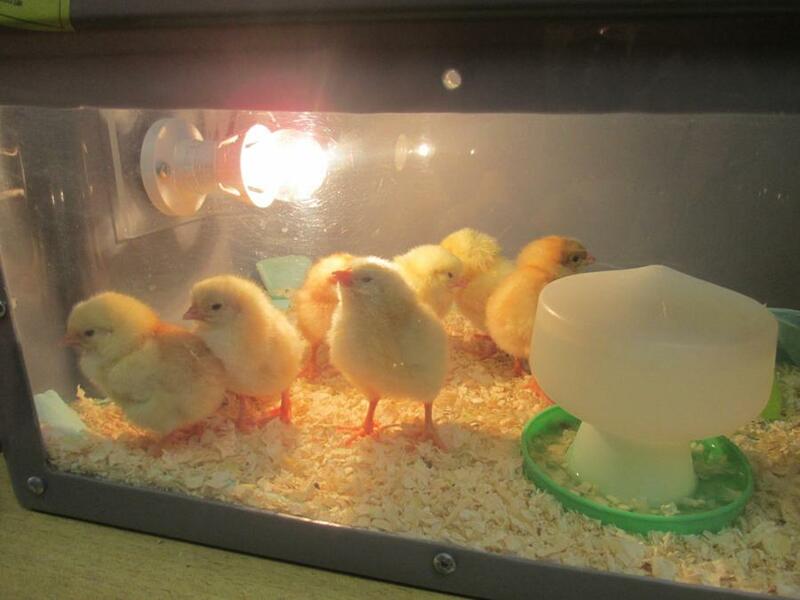 Our chicks had to go back to Farmer Nick's Farm this week so Reception class drew the chicks before they went. 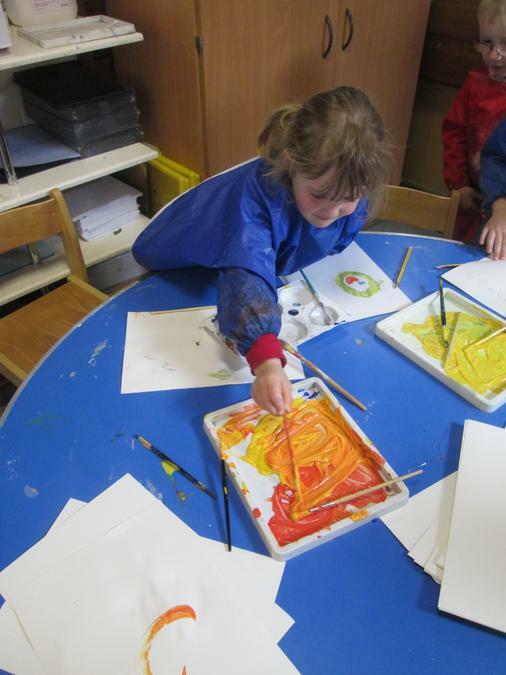 We also painted the chicks, being careful to chose the right colours and we observed the chicks whilst we were painting to understand what they looked like. 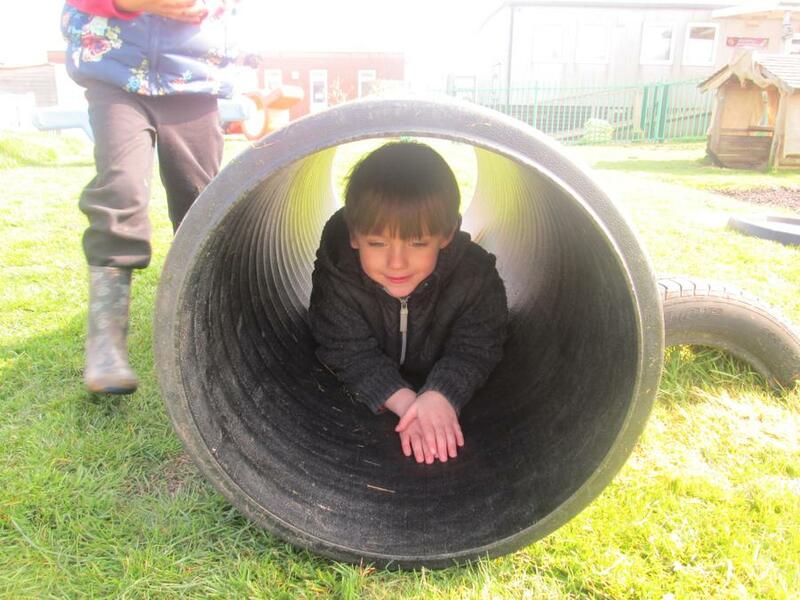 We have had a fantastic Term 4 and the children have really enjoyed learning about the Jungle and all the animals. 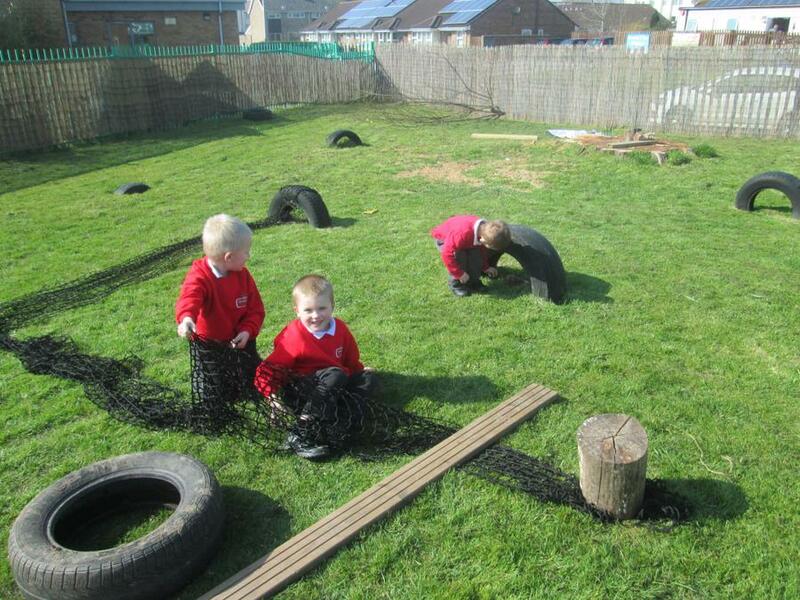 The children have made excellent progress and they are building on their skills independently. 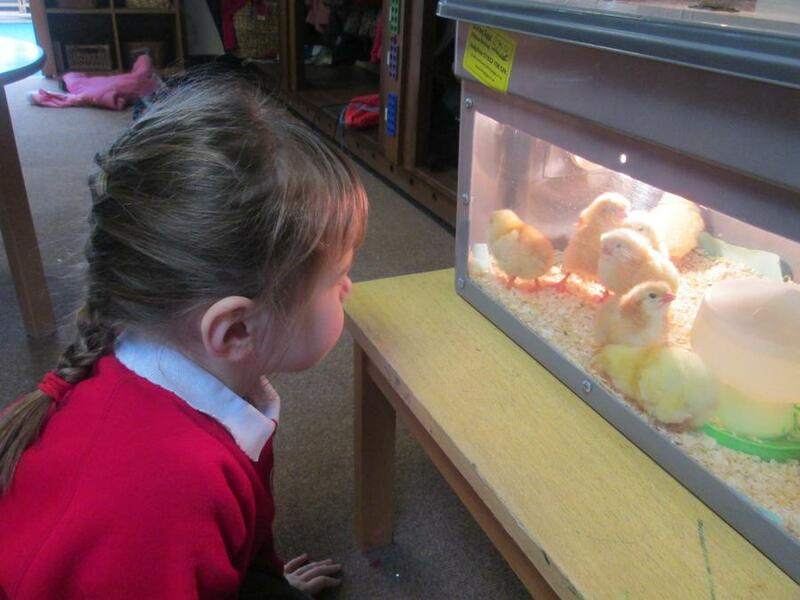 Reception are really excited for our Term 5 topic which is On the Farm.